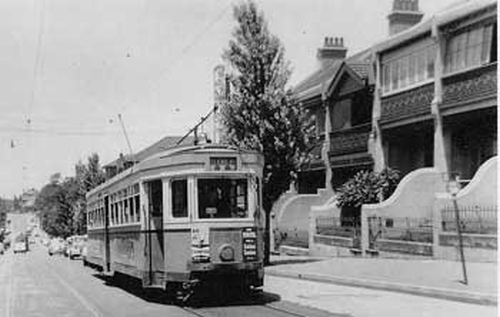 Until the late 1950s, Glebe Point Road boasted a thriving tram line. 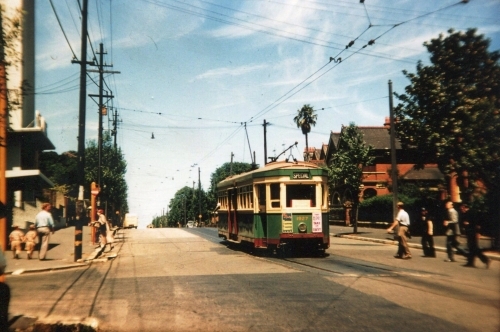 A small remnant of the tracks can be seen on Glebe Point Rd near the intersection with Marlborough St. On this page, you will find links to more information about trams on the Glebe Society website. 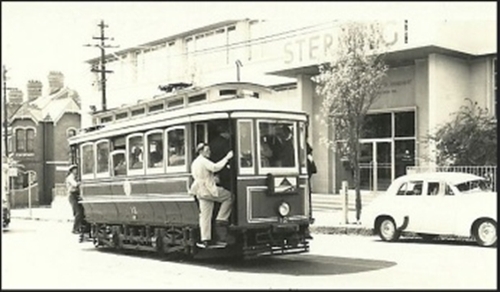 The ‘Memories of Trams’ mural has its own web page here. 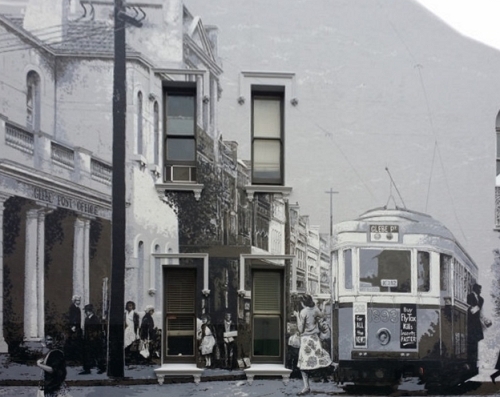 About the time that the ‘Memory of Trams’ mural was being created, the Glebe Society’s Janice Challinor recorded interviews with long-time Glebe residents who personally experienced Glebe’s trams. Janice also interviewed Max Solling, Glebe historian, who explained the significance of the Tramsheds for employment and social development in the Glebe and Forest Lodge area as well as the history of trams in Glebe. As well as the recordings, Kay White and Steve Perry provided quotes for the ‘Memories of Trams’ mural.